Have you got a Lego fan? Both Gemma and Jacob love Lego – all types. We have the City range, the Technic cars, the Ninjago sets, Lego Friends and many more bits and pieces we have acquired over the years. It’s so versatile, and something that is perfect for almost all ages. Max is just starting to show an interest in it too, although he is a bit small yet, and so we have some Duplo for him. All our Lego will end up being shared with Max and eventually Eliza too – it’s a toy that really lasts! This Lego City vehicle transporter is a great set. It comes with everything you need to create a transporter lorry, 2 cars to go on board a delivery driver and a car dealer. You can detach the trailer, lower the ramps, and offload the cars, and the lorry features opening doors and ramps. Accessories include a cool clipboard and briefcase. Endless fun. 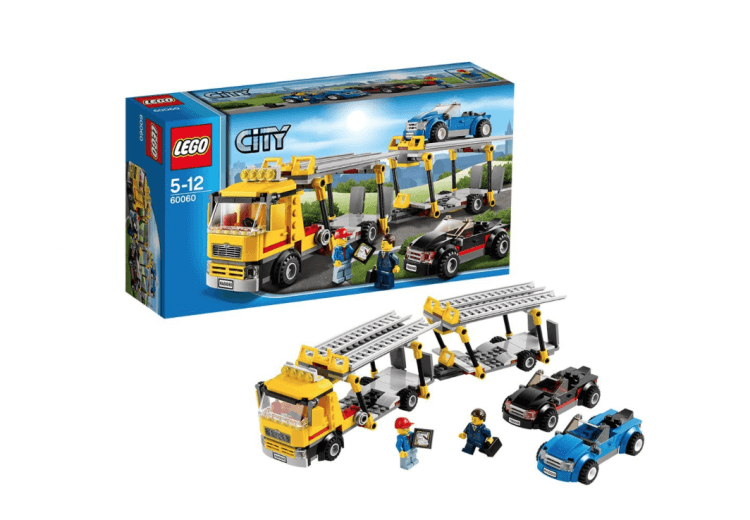 I have teamed up with Manchester Recovery and Transport – UK wide car recovery and transport – to offer one of you the chance to win this Lego City transporter set for yourself. What a great prize! All you have to do to enter is follow the instructions on the rafflecopter form below. Good luck, and don’t forget to share the competition with your friends! We love ALL Lego sets in our home!! We currently have lots of hand me down pirate lego which is still popular! My fave is the Lego Lord of the Rings Tower of Orthanc. We have loads of old Lego, our grandson plays with. He has moved from Duplo to Junior sets and now is ready for something a bit more grown up, as he would say. My favourite is the police station we have!! Lego Batman is the favourite here at the moment! I think the Star Wars Lego is great for little boys.